It has already been three months since the launch of our new online store, KAMERS Gifts Australia, and we are so happy with how this new part of our brand is growing down under. Last month Riana told us that she had orders from four of the biggest provinces in Australia via the website. She posted our pretty products all over the country, which says a great deal about her marketing in such a big country where states are almost the size of entire countries! By far the most popular product has been the beautiful solar jars. These green-energy lamps, set in nostalgic jam jars, are a hit in Australia and sold out within two months. Pictured above are the last four boxes, ready to be posted to happy Aussie shoppers. The second shipment has already been delivered. 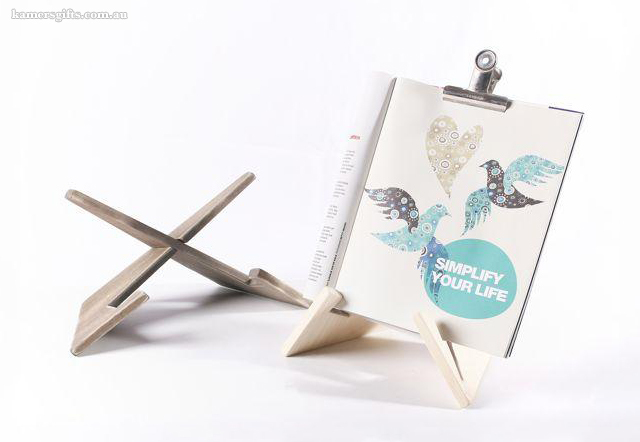 Another sell-out product has been the reversible wooden iPad/book stand. It is versatile, flat-packable, made from natural wood and suits all styles and surfaces. More will be in stock soon. 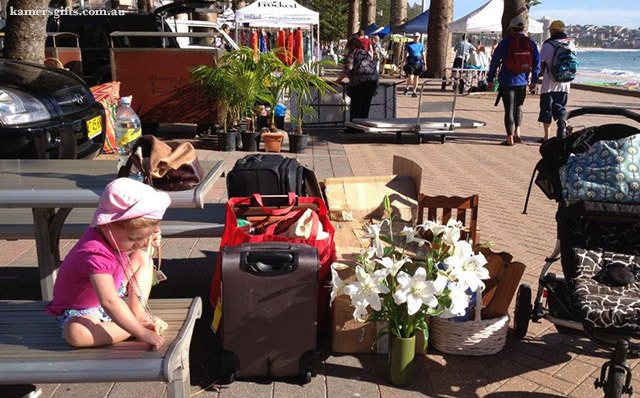 KAMERS Gifts Australia had its first “real-world” exposure at the Manly Jazz Festival, where Riana created a beautiful market stall – much like our suppliers do over here in SA! She enjoyed getting feedback on the products (and had quite a few funny questions!). The online store has also appeared in the Cairns and Townsville Sunday newspapers. 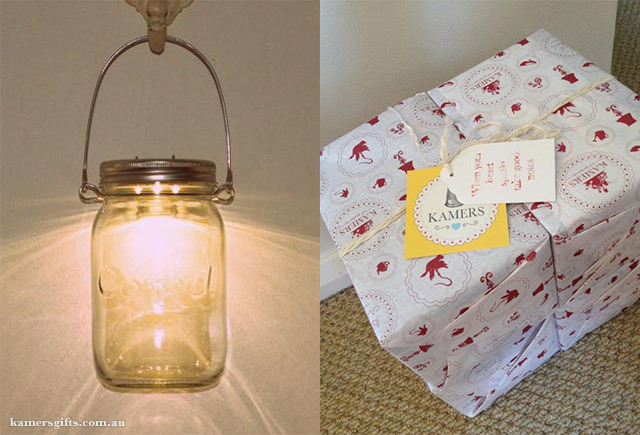 We are very excited about the future of KAMERS Gifts Australia. If you have friends down under, please tell them about www.kamersgifts.com.au, especially if they are from South Africa and longing for a few special, handcrafted gifts from home. Tags: Australia, Cairns, gifts, iPad stand, KAMERS Gifts, Manly Jazz Festival, online shopping, Online Store, Riana Hechter, solar jar, Townsville. Bookmark the permalink.